Sign up and stay in-the-know about The Crowd & The Cloud and the world of citizen science. #CrowdCloudLIVE After each episode's WORLD premiere in April, show host, producer, and people seen on the show participated in post-premiere roundtable discussions. Viewers like you listened in, asked questions, and were able to dive deeper into the power of Citizen Science. Watch the recorded Facebook Live events now. Discover more about how Citizen Science is revolutionizing the ways we gather, analyze, and utilize the data that fuels scientific research, discovery, and community action. My name is Josh Nesbit and I'm the Chief Executive Officer of Medic Mobile. Tell us a little bit about what you do? I've been working on Medic Mobile since 2007, when I was an undergrad at Stanford University. We've been a full fledged company since 2010. A typical workday is totally atypical. It starts with a 5:30 or 6:00 AM phone call, with either East Africa or South Asia, but I'm in the office in San Francisco most of the day with designers, developers, public health experts, and our talented team. My claim to fame in 2011, was that I wasn't in the same country for longer than seven days, the whole year. I finally broke that by being in Nepal for two weeks instead of seven days, in December. It's getting a lot less crazy since then, I’m mostly in San Francisco, and do about five trips each year to spend time with partners, and health workers in different countries. 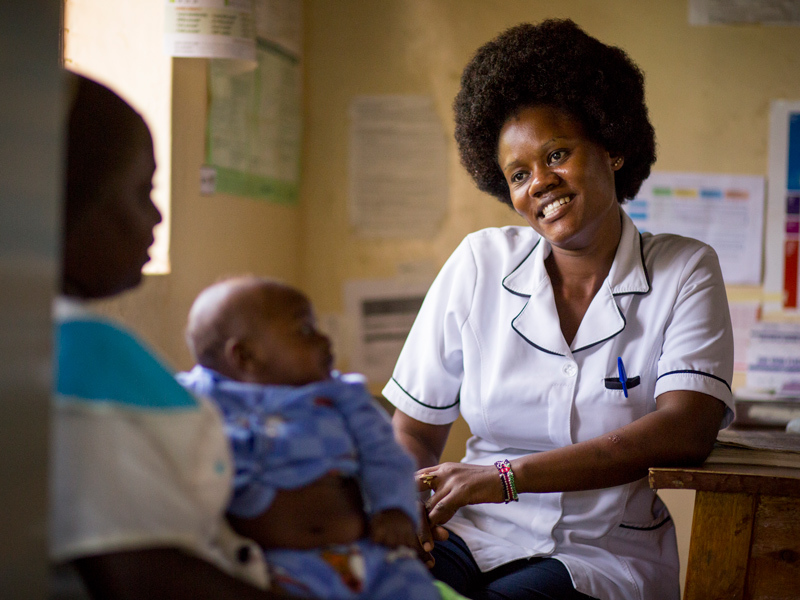 A nurse providing care for a mother and her young child at the Kilala Clinic, in Uganda. Tell us a little bit about your team? They're crazy people in the best way. People who decide to work at Medic Mobile are not happy unless their talents are directly benefiting people. They're not happy unless there's a clarity of mission, a clarity of purpose. I know the thing that gets them up in the morning is the people that we serve. It's the only reason anyone would move their entire family to, or spend three years mostly in mini buses in rural Kenya. It's a self selected crew. That's why we are so strong together and why our products, services and the things we do turn out the way they do. What draws you to work in developing countries? I was a pre-med undergrad at Stanford, and pretty sure that being a doctor was my path. I decided to spend some time in East Africa doing pediatrics aid research at a hospital there. I always wondered how I ended up going to that hospital, why it was even on my radar. For a lot of people in my generation, global is the default setting as opposed to starting locally, and then having reasons to expand. If you think about the planet, and you are asked to draw a circle around all the people that you care about, or that are worthy of your moral concern, you're going to draw a circle around the whole planet. That was my starting point. How I ended up working in East Africa was through people and through relationships. I spent about 12 weeks at the hospital on my first trip. I met the lone doctor there, who was in charge of healthcare for 250,000 people around him. I met the Community Health Workers, who had basically put up their hands and volunteered in each village cluster around that hospital. One of those health workers, Dickson, was walking 35 miles every week to hand deliver updates about his patients. It was really clear that he was a member of the crowd, member of his community. He was fighting with every step that he took. He was fighting to get connected to the clinic and the hospital staff there. When I went out and had dinner with Dickson, I looked down on my cellphone, it had six bars of cell coverage. It was a new world, there were new tools we could put into their hands and use to help them. What we're learning is that there is much less of a divide, there's not the first, second, third world split that you might expect. There's not as much of a difference country to country, thinking about emerging markets. Most of what we are seeing are differences within a given country, or within a given subset of people. Those differences within a country are much bigger than the differences between countries right now. That trend is going to continue. When we set out on a mission for global health equity, it's as much about reaching people in every population as it is focusing on a continent or the typical view of a developing world. The world is changing much faster than we thought it would. 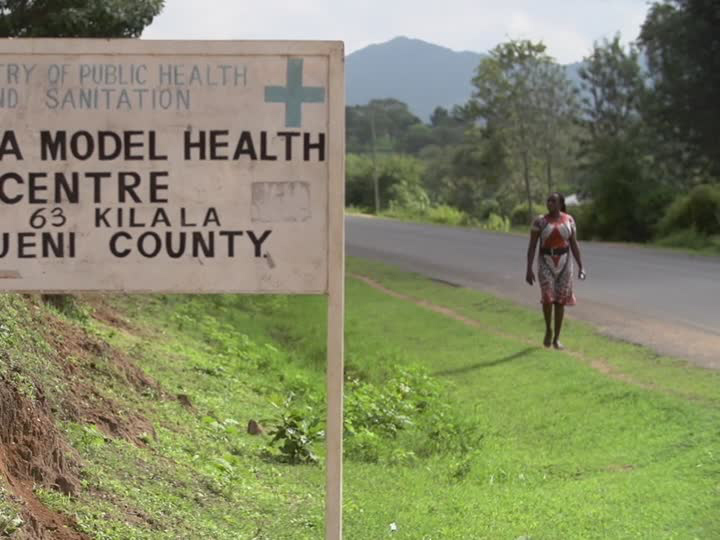 In rural Uganda, people sometimes walk for days to reach health care. Is there something about East Africa that makes you want to keep going back and keep trying to make things better there? We're seeing tremendous progress in certain parts of the world. The truth is, in the last hundred years or so, we just about doubled the life expectancy for people on this planet, which is amazing. The problem is we left a lot of countries and a lot of people out of that progress, we left people behind. We have this amazing potential to distribute things we know saves lives, are simple, and we know are effective. Solve the distribution problem, solve the delivery problem, and do it with the people who are already there. Now, global technology infrastructure that's already in place, those are the things we are trying to unlock in a lot of different countries. East Africa is set up to have things improve really fast. What are some of the big health challenges facing East Africa? The main health challenges that we're seeing in East and West Africa, South Asia, and of Latin America are things we've seen and known about for a really long time especially on the infectious disease side. There are effective vaccines and treatments, it's about getting those out to people. Also, you have the typical family health issues. You have pregnant women, their husbands and their families that want to make sure that's a safe pregnancy. That will resonate and will make sense to anyone who thinks about their family's health. It's about safe pregnancies. It's about ensuring that kids are protected from vaccine preventable illnesses, that basic child illnesses are treated. There are definitely challenges in delivering healthcare in hard to reach communities and challenging settings. They include gaps in human resources. You have places where you have a doctor for every 300,000 people. That is just entirely different than San Francisco or New York. You have a challenge in terms of healthcare financing. There are entire countries with about $10 per person, per year, that they're able to spend in terms of healthcare costs. If you look at what Americans are paying, or what other health systems are run on, that $10 sounds insane. It just doesn't sound possible. Then you have geographic challenges where we don't have people who are necessarily concentrated in urban settings. Even in those urban settings you've got a hundred homes that are mostly informal and on top of each other essentially. So people get lost, both in urban settings as well as rural settings. 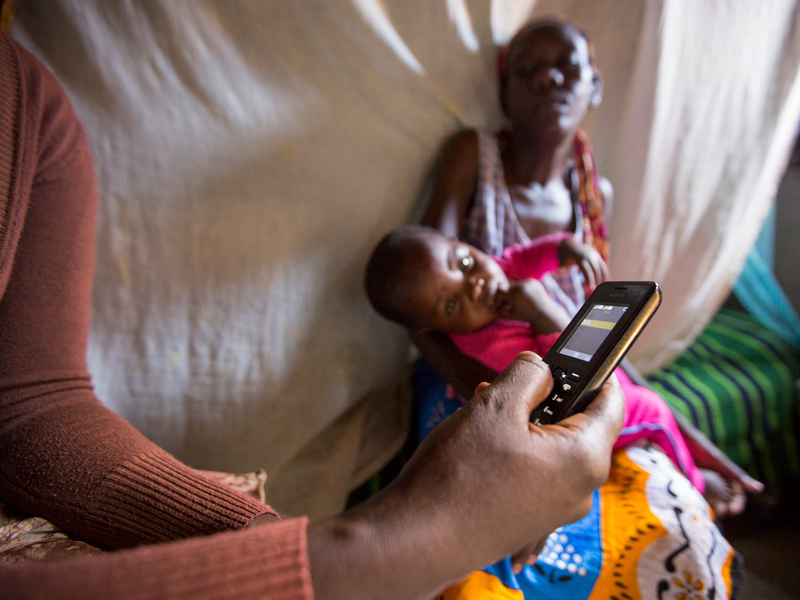 A Community Health Worker uses the Medic Mobile app to report child health data. How did the idea of facilitating healthcare with mobile technology first come about? One of the big things that's happening is we are asking neighbors to be healthcare workers and to look after their community members. The term for those neighbors is Community Health Workers. We're asking those health workers to do about 80 or 90 percent of what a typical doctor would do for primary health care. We're really decentralizing in a radical way, the types of services and treatments that are provided at the household and village level. That's one big shift. The other big shift is that people have a way to get connected. They have a cell signal in 95 percent of the places that people live. Even if it's just one bar so that we can send 160 characters by text message. Even if it's a small pipe, it's a pipe from one community to places where there are experts. There are resources and people who can coordinate and help. In 2007, about one out of every hundred people that I met in Malawi had a cell phone. Right now, if you look at all of Africa, well over 50 percent of all people have a personal cell phone, and 95 percent of those people are covered. You've got hundreds of millions of dollars moving through text messages in Kenya using an entirely new form of banking. (See the World Bank video on mobile money, M-PESA.) If you just look at every industry, everything has to get in line and figure out how they're going to be delivered and used through mobile. I think that there's something interesting about deciding what your life project is going to be. Everybody who's worked with or volunteered with Medic Mobile, has made that decision at some point. Being really clear and really purposeful with deciding what you're going to do. In our case, figure out some way to improve health equity and harness technology to do that because that's all the tools that we have. For us, it's about one part utilitarianism, and one part egalitarianism. We know that we need to be paying attention to the people who need our tools most. Make sure that we're reaching them and being purposeful about that. It's the challenge of being a non profit technology company to figure out exactly the right way to harness tools and skills. The Crowd & The Cloud and the materials on this website are based upon work supported by the National Science Foundation under Award 1422198. Any opinions, findings and conclusions or recommendations expressed in this material are those of Geoff Haines-Stiles Productions, Inc., and do not necessarily reflect those of the National Science Foundation. © 2018 GHSPi, Inc. C&C believes that all content appearing on this website is either original to C&C or appears by permission of the owners, or is public domain/Creative Commons. If anyone believes their material has been improperly included, contact us and we will immediately address the issue.